Prophecies of the return of the "Shekinah," which had left the Temple and city of Jerusalem in the days of Ezekiel, are repeated in Zechariah. These same prophecies are also fulfilled in the historical period and record of Zechariah. To better understand these prophecies it is necessary to have an acquaintance with the history of the "Shekinah." Objection is made that the word "Shekinah,", is not found in the scripture in its noun form and that it describes a concept that is not scriptural. It is said that the word is coined by Post-biblical Rabbinic scholars. While it is admitted that the Rabbinic concept of God being a hovering non-personal force is an unacceptable extension of meaning, the concept of a physical manifestation of God's localized dwelling is none-the-less scriptural. We have chosen to use the word "Shekinah," (shknh) , to name this "presence" since this meaning is in general distribution among many Christians, albeit ignorant of the origin of the word. The word was coined from verbal cognates in the Bible which describe the "presence" of God in a locality. The verbal cognates are copiously used to describe the "Shekinah" appearances. The word "Shekinah," itself is not in the biblical text but the concept, as I have defined it, clearly is. The word most certainly is derived from "shakan," and whoever first used the word "Shekinah" coined it as a substantive (noun form) from the verbal forms used to describe the "abiding, dwelling, or habitation" of the physical manifestations of God described in Ex 24:16; Ex 40:35, Nu 9:16-18; and numerous other places where "shakan" is used. The word is also used to describe the mystical "Shekinah" presence in the tabernacle. The word "mishkan,", a derivative of "shakan,", is often translated "tabernacle." The Hebrew for tabernacle is more often simply "ohel,", or tent. "Mishkan" means "dwelling place." That is, the "dwelling place" of "Him who dwells" or "Shekinah." "Shekinah" in Hebrew is a a feminine noun, It is interesting that Isaiah refers to the Shekinah using feminine pronouns. Especially in Isaiah 51. Particularly in Isaiah 51:9and 10 and its context the pronouns are feminine. In verse 10 the KJV uses thou and it to refer to the Shekinah. Both pronouns are feminine in Hebrew. The Qumran text makes the feminine form certain by adding a yod to 2fs. Literally feminine "you she" translated in KJV "thou it." Without doubt this is why the inter-testament Rabbis coined the word Shekinah to describe the events where the physical presence performed miracles to guide and protect Israel. In the same passage (Isa 51:9) there is a phrase "arm of YHWH" that is used exclusively for the Messiah. This means Jesus was the Shekinah presence in the Old Testament events. That is why the coming of the Messiah and the return of the Shekinah to the second temple are intermixed in the extraordinarily mystically mixed passage of Zechariah 2:8-11. Zechariah uses cognates of the word in referring to the return of, the then absent, "presence" which he supposed was imminent. We will show that Zechariah previewed an imminent restoration of what Ezekiel (seventy years previously) saw depart in his day and then predicted the return of to a restored temple. What ever noun one calls it, such physical representations of the "presence" are in the Bible. What did Ezekiel see leave the temple? It is certain that what ever name you call the "presence" it is linked with the fiery cloud of Sinai. We have chosen to use the word "Shekinah" to name the biblically described mystical thing "dwelling" or thing "abiding." I also accept that "Cavod YHWH," (glory of the LORD) and "Shekinah" are identical in the contexts I make reference to, such as the fire enfolding cloud on Sinai, (Ex. 24:15-17) the dedication of Solomon's temple, and that which is associated with Ezekiel's vision of the departure and return. To say that "Shekinah" is not in a text where the presence of God is described by a cognate of "shakan" may be closely akin to saying "baptism" does not appear in the great commission passages and Acts 2:38 because verbal cognates (baptized, baptizing) are used and not the noun "baptism" itself. The Hebrew verb "shakan,", simply means to take up residence with long continuity in a neighborhood. The distinction between this word and "yashav" which is also translated "dwell" is just this: You can use the latter to mean an individual doing the dwelling without reference to others or to duration while "shakan" means a protracted dwelling in the midst of a neighborhood or a group of people or might be limited to one other person but only by extension. The primary meaning is to reside and continue as a member of the community. This is a common word used for all classes to convey this idea. However, when it refers to God it takes on an added mysticism which is obvious upon small consideration. When verbal forms are translated as nouns the word sometimes means "habitat." It is the habitat of animals and birds as well as humans and God. (Dan. 4:21) Grammatically, when verbal forms are translated as nouns, in Hebrew, they are called "substantives." Technically, "Shekinah", therefore is a substantive rather than a noun. "But will God indeed dwell "yashav" on the earth? behold, the heaven and heaven of heavens cannot contain you; how much less this house that I have built?" "For thus says the high and lofty One who inhabits ("shakan") eternity, whose name is Holy; I dwell ("shakan") in the high and holy place, and with him also that is of a contrite and humble spirit, to revive the spirit of the humble, and to revive the heart of the contrite ones."
. The form is a masculine participle and literally means "He who inhabits" or "the one who is inhabiting." This refers to God Himself. According to this verse, He is the "Inhabiter" of heaven and human hearts at one and the same time! The word "Shekinah" , which describes the physical thing which was "proof" of his "dwelling" on earth in the Mosaic dispensation, is akin to this construction. In fact, it is the identically same word, only the gender is changed. If you simply add the feminine ending to change it from a masculine to a feminine participle "shokeyn," (shkn), becomes "Shekinah" (shknh). Thus, the masculine form of the substantive "Shekinah" does appear in the Bible in Isaiah 57:15. (Num. 35:34) "Defile not therefore the land which you shall inhabit, wherein I dwell: ["shakan"] for I the LORD dwell ["shakan"] among the children of Israel." However when that presence was physically manifested it was frightening to those who beheld it. (Ex. 24:15) And Moses went up into the mount, and a cloud covered the mount. (Ex. 24:16) And the glory of the LORD ["Cavod YHWH"] abode ["shakan"] upon mount Sinai and the cloud covered it six days; and the seventh day he called unto Moses out of the midst of the cloud. (Ex. 24:17) And the sight of the glory of the LORD ["Cavod YHWH"] was like devouring fire on the top of the mount in the eyes of the children of Israel. Earlier, the seventy elders had gone up into the cloud and actually saw the "Shekinah" glory, and they were so afraid they asked Moses never to take them again. As far as they were concerned, they saw God! You can only imagine their hair on end and their wide eyed appearance as they came down from the mountain exclaiming "We saw God! It was terrible!" (Ex. 24:10) And they saw the God of Israel; and there was under his feet as it were a paved work of a sapphire stone, and as it were the body of heaven in his clearness. (Ex. 24:11) And upon the nobles of the children of Israel he laid not his hand; also they saw God, and did eat and drink. The mixture of clarity and confusion in similar passages is evidence of the mystical nature of the experience. They were disoriented and afraid and the later writing of the event records the confusion. The appearance a few days earlier of the physical presence of God on Mount Sinai is described as fire and cloud and thick darkness when the ten commandments were given. The Psalms contains a description of this event calling it a "Shekinah" presence. The description is in a Messianic portion and the Messiah is the "Shekinah" presence. He indwells ["shakan"] his people. (Ps. 68:16) "Why do you leap, you high hills? this is the hill [Sinai] which God desires to dwell ["shakan"] in; yea, the LORD will dwell in it for ever. (Ps. 68:17) The chariots of God are twenty thousand, even thousands of angels: the LORD is among them, as in Sinai, in the holy place. (Ps. 68:18) You have ascended on high, you have led captivity captive: you have received gifts for men; yea, for the rebellious also, that the LORD God might dwell [shakan] among them." He was on Mt. Sinai when the hills leaped, and verse 18 speaks of the resurrection and ascension which results in the indwelling of his people! These are New Testament applications that place Jesus of Nazareth in the events of Sinai in the Old Testament. Then a cloud covered the tent of the congregation, and the glory of the LORD ["Cavod YHWH"] filled the tabernacle. (Ex. 40:35) And Moses was not able to enter into the tent of the congregation, because the cloud abode [shakan] on it, and the glory of the LORD ["Cavod YHWH,"] filled the tabernacle. (Ex. 40:36) And when the cloud was taken up from over the tabernacle, the children of Israel went onward in all their journeys; (Ex. 40:37) But if the cloud were not taken up, then they journeyed not till the day that it was taken up. (Ex. 40:38) For the cloud of the LORD was upon the tabernacle by day, and fire was on it by night, in the sight of all the house of Israel, throughout all their journeys. And on the day that the tabernacle was reared up the cloud covered the tabernacle, namely, the tent of the testimony: and at even there was upon the tabernacle as it were the appearance of fire, until the morning. (Num. 9:16) So it was always: the cloud covered it by day, and the appearance of fire by night. (Num. 9:17) And when the cloud was taken up from the tabernacle, then after that the children of Israel journeyed; and in the place where the cloud abode, there the children of Israel pitched their tents. (Ex. 33:18) "And he said, I beseech you, show me your glory. [He was speaking to God's voice coming from the "Shekinah."] (Ex. 33:19) And he said, I will make all my goodness pass before you, and I will proclaim the name of the LORD before you, and will be gracious to whom I will be gracious, and will show mercy on whom I will shew mercy. (Ex. 33:20) And he said, You can not see my face; for no man shall see me, and live." After the entrance into the promised land God's presence was manifested spiritually in the tabernacle and not often in a physical way. The actual presence was always accepted as being in the tabernacle, and later in the Temple, but was not always physically confirmed by the visible "Shekinah." But to the people of that dispensation under the Mosaic covenant there were occasional renewals of a miraculous appearance of the "Shekinah." This happened again when the Temple of Solomon was dedicated. There was an initial appearance in a vision when the LORD promised that he would "shakan" or dwell in the house that Solomon was constructing. (1Ki. 6:11) And the word of the LORD came to Solomon, saying, (1Ki. 6:12) Concerning this house which you are building, if you will walk in my statutes, and execute my judgments, and keep all my commandments to walk in them; then will I perform my word with you, which I spoke to David your father; (1Ki. 6:13) And I will dwell ["shakan"] among the children of Israel, and will not forsake my people Israel. (1Ki. 6:14) So Solomon built the house, and finished it. Solomon then visited the tabernacle which was not in Jerusalem but at Gibeon. The ark of the covenant was in Jerusalem, however in a different tent. (1Ch 16:39) And Zadok the priest, and his brethren the priests, before the tabernacle of the Lord in the high place that was in Gibeon, (1Ch 21:29) For the tabernacle of the Lord, which Moses made in the wilderness, and the altar of the burnt offering, were at that season in the high place at Gibeon. The ark of the covenant, which had been taken from the tabernacle by the sons of Eli and was captured by Philistines, had then been sent by the Philistines back to Judah. Eli's daughter-in-law called the taking of the ark the departure of the glory of Israel. (1Sa 4:21) And she named the child Ichabod, saying, The glory is departed from Israel: because the ark of God was taken, and because of her father in law and her husband. After an unhappy experience with the ark the Philistines sent it back to Israel. Cows heavy with milk had left their calves and borne the ark from the Philistines to the house of Obed Edom. It was from there after many years that David would bring up the ark to Jerusalem, in the part of the city called Zion, where he set it in a specially prepared tent. It was not restored to the Tabernacle. (2Ch 1:4) But the ark of God had David brought up from Kiriath Jearim to the place which David had prepared for it: for he had pitched a tent for it at Jerusalem. But the tabernacle stayed in Gibeon about ten miles north of Jerusalem. It was from there about ten miles north, that its furniture was brought to the completed Temple of Solomon. (2Ch 5:2) Then Solomon assembled the elders of Israel, and all the heads of the tribes, the chief of the fathers of the children of Israel, to Jerusalem, to bring up the ark of the covenant of the Lord out of the city of David, which is Zion...(2Ch 5:5) And they brought up the ark, and the tabernacle of the congregation, and all the holy vessels that were in the tabernacle, these did the priests and the Levites bring up. They brought the tabernacle and its furniture from Gibeon and the ark was brought from Zion, less than a mile from the Temple. Then the Temple was dedicated. 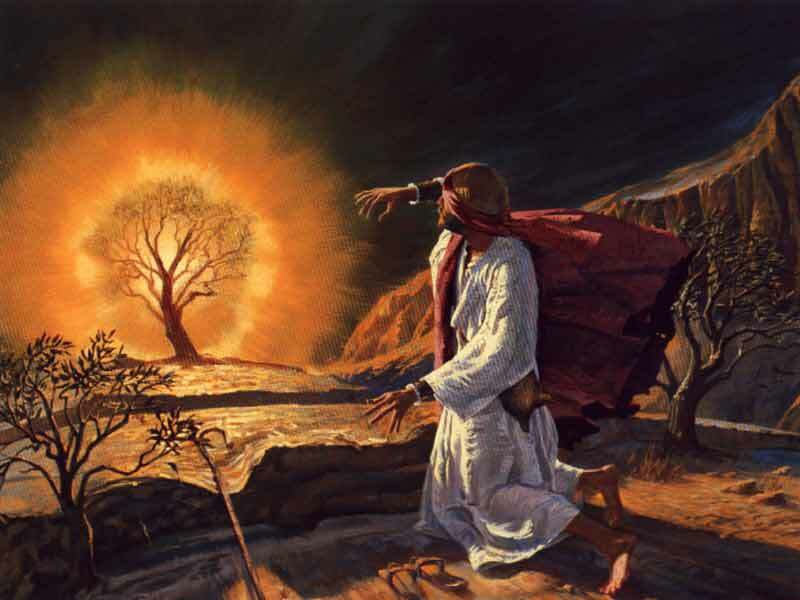 Thus the same incident is recorded in 1 Ki.8, when on the day of the dedication of Solomon's Temple there was a physical miracle of the presence of God. The "Shekinah" would no longer be associated with the tabernacle but was to be transferred to the Temple; therefore this manifestation was necessary to that generation because the Law of Moses was being amended in this point, and God showed his approval of the amendment to His legal system by the manifestation of the "Shekinah." (1Ki. 8:10) And it came to pass, when the priests were come out of the holy place, that the cloud filled the house of the LORD, (1Ki. 8:11) So that the priests could not stand to minister because of the cloud: for the glory of the LORD ["Cavod YHWH"] had filled the house of the LORD. (1Ki. 8:12) Then spoke Solomon, The LORD said that he would dwell [shakan] in the thick darkness. (1Ki. 8:13) I have surely built you an house to dwell in, a settled place for you to abide in for ever. There are conditions connected to God's "forever" promises as is already seen since he was to indwell the tabernacle forever. Thus, at the destruction of the first Temple, He did not allow his "Shekinah" presence to stay in the Temple after a certain level of corruption had taken place. The surprise is that God's indwelling remained so long. He evidently loves us so much that he endures more than any human judge would think possible. Jerusalem was more corrupt than we would think God would endure all of the last days of Jehoiakim and Jehoiachin and most of the reign of Zedekiah. However, Ezekiel's vision of the departure of the "Shekinah" from the Temple and city was not until after the beginning of the final siege of the city by Nebuchadnezzar just before its destruction. Ezekiel's description of the "Shekinah" is more detailed but is similar to what the seventy elders saw on Mount Sinai recorded in Ex. 24. (It might be inserted here as a warning to those who have the Holy Spirit living in them that Nadab and Abihu were among those who "saw God.") Ezekiel's description of the "Shekinah" in chapter one of his prophecy is physically exciting just to read. Imagine actually seeing it! It is described as fire enfolding itself borne by cherubic creatures whose appearance pulsated with undulating light, themselves borne by gyroscopic double wheels. Lightning came out of the midst of the fire surrounded by clear sapphire where a man like person on a throne sat in an electric eye. If electricity is anachronistic, the word is none the less "chashmal" which is the modern Hebrew word for electricity. The Septuagint has "electrum" and so does the Vulgate! What ever "chashmal" and "electrum" meant to the ancients who used these words it can only be said that "'eyn chashmal" in Hebrew and "opsin electrou" in Greek and "speciem electri" found in Latin in Eze. 1:27 is not "amber" as in the English translation. The word "color" does not appear in the text. There are other descriptions of the elements of the "Shekinah" that Ezekiel saw leaving a then desolate Temple. The building was still there but was desolate before it was destroyed! The Departure and Return of the "Shekinah." (Eze. 10:4) Then the glory of the LORD ["Cavod YHWH"] went up from the cherub, and stood over the threshold of the house; and the house was filled with the cloud, and the court was full of the brightness of the LORD's glory ["Cavod YHWH"]. But preparations were made to take the "Shekinah" from the Temple and then from the city itself. (Eze. 10:19) And the cherubim lifted up their wings, and mounted up from the earth in my sight; when they went out, the wheels also were beside them, and every one stood at the door of the east gate of the LORD's house; and the glory of the God of Israel was over them above. (Eze. 11:23) And the glory of the LORD ["Cavod YHWH"] went up from the midst of the city, and stood on the mountain which is on the east side of the city. (Eze. 43:2) And, behold, the glory of the God of Israel came from the way of the east; and his voice was like a noise of many waters; and the earth shined with his glory. (Eze. 43:3) And it was according to the appearance of the vision which I saw, even according to the vision that I saw when I came to destroy the city; and the visions were like the vision that I saw by the river Chebar; and I fell on my face. (Eze. 43:4) And the glory of the LORD ["Cavod YHWH"] came into the house by the way of the gate whose prospect is toward the east. (Eze. 43:5) So the spirit took me up, and brought me into the inner court; and, behold, the glory of the LORD ["Cavod YHWH"] filled the house. (Eze. 43:6) And I heard him speaking to me out of the house; and the man stood by me. (Eze. 43:7) And he said to me, Son of man, the place of my throne, and the place of the soles of my feet, where I will dwell [shakan] in the midst of the children of Israel for ever, and my holy name, shall the house of Israel no more defile, neither they, nor their kings, by their whoredom, nor by the carcasses of their kings in their high places. This event which Ezekiel saw in a vision was fulfilled. It happened in the days of Zerubbabel and is recorded by Zechariah. The lives of Zechariah and Ezekiel overlapped. They were both prophets and priests. Surely they knew of each other and it is likely they met. Zechariah knew of the visions of the departure of the "Shekinah" and the return and therefore he records the predictions of the return that would fulfill the same future event which Ezekiel saw. Thus God first foretells his "Shekinah" return. (Zec. 2:10) Sing and rejoice, O daughter of Zion: for, lo, I come, and I will dwell [shakan] in the midst of you, says the LORD. This verse is a prediction of the return of the "Shekinah" which was imminent but had not happened yet when Zechariah wrote this in the second year of Darius. In what follows he foretells the, future but imminent, long period of continuity of the restored "Shekinah" called "that day," meaning that the period of time beginning with the restoration of the "Shekinah" would extend to the call of the Gentiles. (Zec. 2:11) And many nations shall be joined to the LORD in that day, and shall be my people; and I will dwell ["shakan"] in the midst of you, and you shall know that the LORD of hosts has sent me to you. This verse also introduces references to a dual "Shekinah" return and presence. One is to take place at the completion of the Temple and the other to extend to the presence of the one who will actually be the "Shekinah, whom YHWH will have sent to call the Gentiles. See also notes on Zecariah 2:8-11. From the time that Zechariah began to prophesy in the second year of Darius it would be approximately four years before the Temple would be finished and dedicated. The building itself would be partially finished and complete enough after two years of committed rebuilding that it would be called, in chapter seven, "the house of God." It is in chapter eight that God speaks and says that He has returned the "Shekinah." There is no record of the actual event. Whether it was associated with physical phenomena is not told. The only physical description is in the vision of Ezekiel which was not a material event. Nonetheless the "Shekinah" and the real presence of the omniscient God returned to the rededicated Temple on time, either at the dedication or in anticipation as noted in Zec. 8:3. "Thus says the Lord; I am returned to Zion, and will dwell ["shakan"] in the midst of Jerusalem; and Jerusalem shall be called a city of truth; and the mountain of the LORD of hosts the holy mountain." Before the dedication of the Temple Darius the Persian, a non-Jewish believer, sent letters, to the neighboring Syrians in response to their attempts to stop the rebuilding then progressing under Zerubbabel, in which he spoke of the "Shekinah" as present in Jerusalem. (Ezr. 6:12) And the God that has caused his name to dwell [shakan] there destroy all kings and people, that shall put to their hand to alter and to destroy this house of God which is at Jerusalem. I Darius have made a decree; let it be done with speed. Here Darius attributes to God his decision to dwell or "shakan," as being completed. Thus the return of his "Shekinah" presence in Jerusalem is considered as a fact. This is before the dedication of the completed Temple and was before or would nearly coincide with the time of Zec. 7:1 and Zec. 8:3. A generation later a new Persian king would send Ezra and mention the "Shekinah." (Ezr. 7:15) And to carry the silver and gold, which the king and his counsellors have freely offered unto the God of Israel, whose habitation [Heb. mishkan] is in Jerusalem. This last comment is made by Artaxerxes Longimanus who commissioned Ezra and who says the habitation ["Shekinah"] of God is in Jerusalem. These sources are quoted by Porten, an active Jewish writer currently living in Jerusalem. His position seems to favor the return of the "skekinah" before the actual dedication. (Dan. 9:12) And he has confirmed his words, which he spoke against us, and against our judges that judged us, by bringing upon us a great evil: for under the whole heaven has not been done as has been done upon Jerusalem. (Zec. 8:4) Thus says the LORD of hosts; There shall yet old men and old women dwell in the streets of Jerusalem, and every man with his staff in his hand for very age. (Zec 8:5) And the streets of the city shall be full of boys and girls playing in its streets. (Zec 8:6) Thus says the Lord of hosts, If it be marvelous in the eyes of the remnant of this people in these days, should it [not] also be marvelous in my eyes? says the Lord of hosts. Zechariah tells in his prophecy that there will be times of trouble in the distant future after the "Golden Age" and speaks of the presence of God who would then stand on Mt. Olive. We know that that one who stood on Mt. Olive is the embodiment of the mystery of the Godhead. "In him all the fullness of the Godhead dwells bodily." (Mt. 23:37) "O Jerusalem, Jerusalem, you who kill the prophets, and stone them which are sent to you, how often would I have gathered your children together, even as a hen gathers her chickens under her wings, and you would not! (Mt. 23:38) Behold, your house is left to you desolate." (Mt. 27:51) "the veil of the Temple was torn in two from the top to the bottom; and the earth quaked, and the rocks rent." That the veil of the Temple was rent in two indicates the departure of the "Shekinah" from the then desolate Temple. The Temple became desolate with the departure of the "Shekinah," not at the time of its destruction. It was made desolate by the departure of the presence of God. Daniel, when prophesying of the destruction of the city and the Temple, says that the destruction would be poured out on that which had already been made desolate. Dan. 9:26,27. From thenceforth the Temple would be manifested in two ways. Not in buildings but in the hearts of spiritual Israel, the exiled ones called from among the Gentiles to bring their treasures to Jerusalem. The assembled body of believers also has the indwelling presence of which the "Shekinah" was a representation in type. This same presence is in each obedient believer. These dual aspects of the "Shekinah" were seen by Zechariah who completes the Old Testament references to the "Shekinah" events.